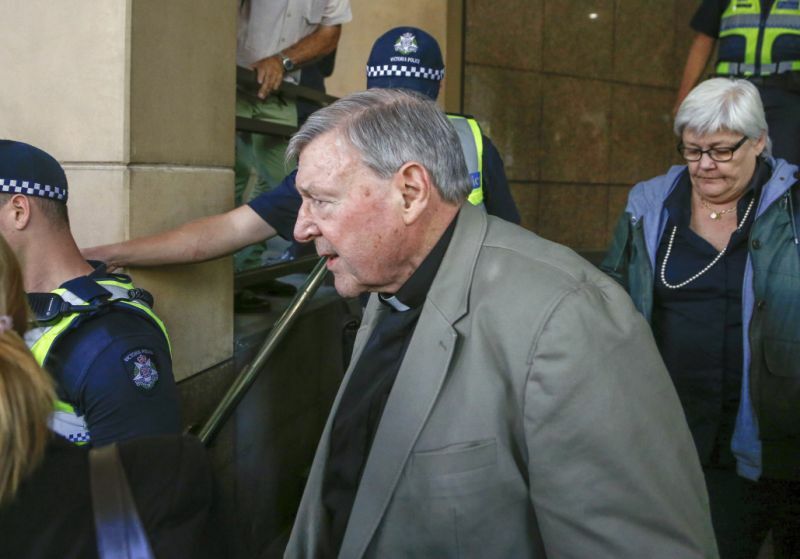 (AP) — The most senior Catholic Church leader to be charged with sexual abuse came close to confronting his accusers on Monday in a video-linked Australian court hearing to test the strength of the prosecution’s case. Cardinal George Pell’s alleged victims began testifying in the Melbourne Magistrates Court against Pope Francis’ former finance minister in testimony that cannot be made public. But the complainants, who cannot be identified, are avoiding the intense media scrutiny focused on the cramped courtroom and the company of their alleged abuser by giving their evidence via a video connection from an undisclosed location. The number of alleged victims has not been made public, and their testimony is scheduled to continue for up to two weeks. Pell was charged last June with sexually abusing multiple people in his Australian home state of Victoria. The details of the allegations have yet to be released to the public, though police have described the charges as “historical” sexual assault offenses — meaning the alleged crimes occurred decades ago. Pell’s lawyer Robert Richter did not object to the complainants appearing in court on a television screen Monday rather than in person. But he did question why one would be allowed to appear with what prosecutor Mark Gibson described as a “support dog” while testifying. “I always thought that dogs were for children and very old people,” Richter told the court. When Pell last lived in Melbourne, he was archbishop of Australia’s second-largest city. He progressed to archbishop of Australia’s biggest city, Sydney, before moving to the Vatican as a prefect of the church’s economy ministry in 2014. He intends to return to that job once the criminal charges are resolved. He was in Rome and had health reasons for not making a long flight to testify in person to Australia’s longest-running royal commission, the country’s highest form of inquiry. It had been investigating since 2012 how the Catholic Church and other institutions responded to sexual abuse of children in Australia over 90 years. Pell’s lawyers told the court last month that the current criminal charges stemmed from publicity surrounding the Royal Commission into Institutional Responses to Child Sexual Abuse. On Monday, Richter cited Pell’s age and medical condition as reasons why the cleric should be allowed to be accompanied in court by a supporter.